Restaurants and hotels are booming again and a lesser known barometer of the hospitality industry in Ireland are wine events. For the last few years many top hotels and restaurants had steered away from wine events for two reasons, one there was little appetite for spend on these evenings and secondly let’s be honest it wasn’t really the done thing in the economic climate we were faced with. Well that’s all changed, 2015 has seen an unprecedented amount of wine dinners and tastings. Right up and down the country we have seen some top importers and winemakers flying in to persuade you that their vines are the finest, their wines are made with the most passion and their winemakers are the most knowledgeable in the business. To the non wine lover’s out there we can hear you shout “what a load of old cobblers” (or worse). But before you pass judgement do one thing, take up Kelly’s Resort on one of their wine appreciation evenings. We did and and found that even having experienced many tastings there is always more to learn. If you have never been to Kelly’s (which we hadn’t) you in for quite a surprise. Set right on the seafront in Rosslare this family owned, fifth generation hotel has managed to withstand all the challenging years and remain fully owned by the Kelly family. At the helm is a hospitality giant and contagious wine enthusiast Bill Kelly, a fourth generation Kelly to have the reigns of this fine property. Today along with his accomplished daughter Laura, who has spent many years working in top hotels all over the world including studying at the prestigious Swiss hotel training institute that is Ecole Hoteliere de Lausanne before joining her Dad at the helm, Kelly’s Resort has become one of the most popular hotels in Ireland. From the moment we checked in we quickly understood why. We are fortunate to visit a lot of impressive resorts but Kelly’s has something very unique, a real family charm almost like a home from home. From Mary at reception who has been with Kelly’s over 20 years, to the fact Laura Kelly is right out front welcoming guests on arrival with a polished charm you will be hard pushed to find anywhere. Kelly’s is a four star hotel with five star views and thankfully we had a sea view room over looking the manicured lawns and tropical gardens, for a minute we had to check were we still in Ireland but the imminent dark clouds in the horizon gave us a swift reminder. 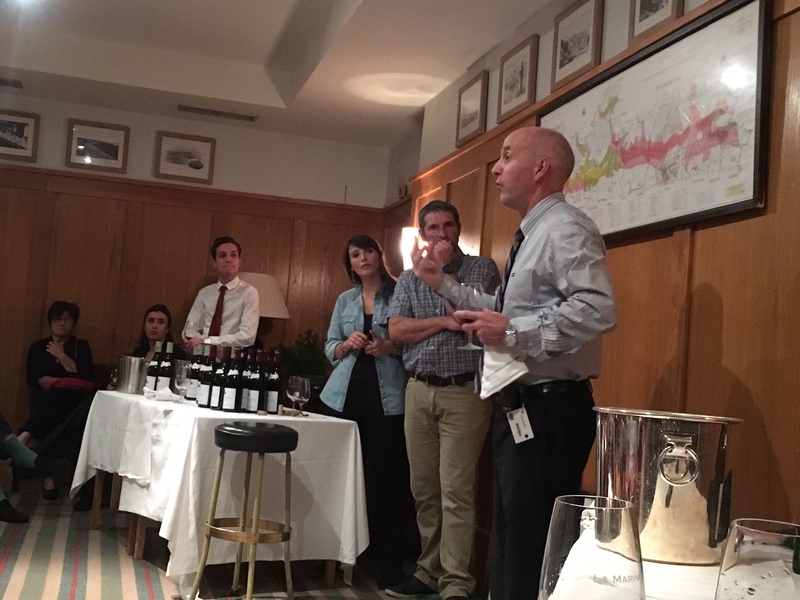 The main reason we had chosen to visit Kelly’s was that there were running a very successful wine appreciation week and one of our favourite winemakers Jean Claude Ramonet from the Cote de Beaune region was hosting a tasting. If you never been to one before but secretly wanted to, no better place. Slightly late for the tasting we were more than fortunate to claim a seat as the room was packed to the rafters. No mean feat for a Tuesday in November, chatting to some of the people who attended later most had decided on a mid week break and love fact the Kelly’s always have something going on in the hotel no matter what time of year. Some of these were wannabe wine buffs but most were just your average Joe who wanted to learn a bit more in a fun and informal setting. As huge fans of Burgundy wines we were delighted to get the chance to see Jean Claude’s passion and his close relationship with Bill Kelly, who makes a point of visiting the vineyards himself before he stocks a wine. This is also one of the reasons Kelly’s is highly regarded in wine circles as a hotel who really goes the extra mile and invests in their cellar. As much as we loved the wine, that is just one element of why a resort pretty much in the middle of nowhere had almost full occupancy on a cold Tuesday in November. Kelly’s has the whole package – sea views, beautiful grounds, walks along the beach, a state of the art spa and a seriously busy restaurant seating over 200 people this modern spacious room was buzzing the night we dined there. We started with a simple Salad of Baked Fig with sliced orange segments, Italian parsley and feta with a zesty pesto dressing which made for a light intro to begin the night. The Warm Smoked Beef was definitely the more succulent of the two, topped with purple potato and bulgar wheat and surrounded with a golden carrot jus. Sticking with the Burgundy theme for the night we chose a Jean-Claude Ramonet Pernand Vergelesses Les Belles Filles 2012 with beautiful smokey vanilla notes which turned out to be a super match for our first main of Steamed Salmon Roulade. A packed parcel of salmon stuffed generously with a prawn mousseline filled the plate, nestled closely with al dente sugar snaps and lightly drizzled in a basil hollandaise sauce. One of Beaches signature dishes is a Roast Stuffed Saddle of Suckling Pig, so this was a must try. Three hearty pieces of stuffed pork fanned out with stewed apple slices and root vegetables arrived and by the look of many tables around us this was proving to be a popular choice on the night. 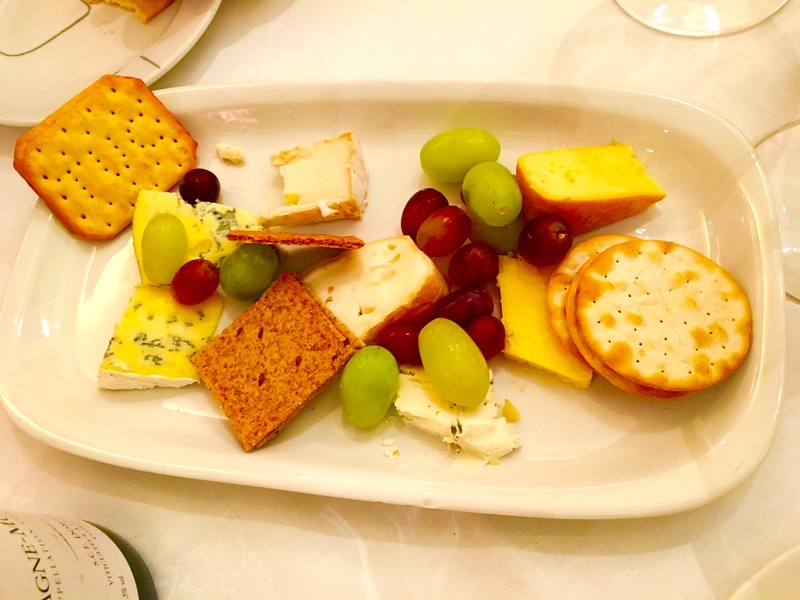 We polished off dinner with a Cheese Board to share of Irish farmhouse cheeses and crackers which was made up of Goats cheese, Cashel Blue, Gubeen, Wicklow Blue and of course Wexford cheddar. All washed down with an exquisitely jammy, full bodied Chassagne Montrachet 2013. We ended our evening as most Irish people do in the bar, as Kelly’s have a bit of live entertainment every night of the week which is probably another reason they are so busy mid week. Our only regret was we were only staying one night and didn’t get the chance to sample a bit more. Kelly’s is one of those places you may overlook as there is plenty of competition out there but we can honestly say this is a one of a kind resort with some fantastic people who make staying there a lot more than just a night away. We left feeling like this is somewhere we cannot wait to go back to and when we do we will be greeted with a Wexford welcome that we would be hard pushed to find anywhere else. This is a Masterclass in Hospitality everyone should experience.